You know what's really disturbing? When adult models are Photoshopped to (or already are) my size. So I'm like, "Ooh! That looks like it would fit me!" And then I'm like, "Oh wait, I'm 14, and look young for my age!" Then I kind of pause, and stare at the screen some more, and then I make a really disturbing noise not unlike one of those "My cat can talkz!!" videos on YouTube, and then I start flailing my arms, and then I exit out. 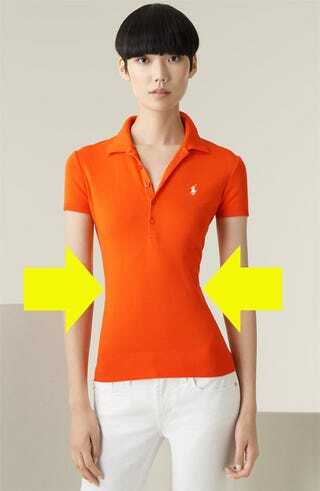 It's Ralph Lauren, too. Irony.